Shasta travel trailers and fifth wheels are made using high quality materials, with special attention paid to the important details that make an impact on your travel experience. Since the company's inception in 1941 they've worked toward consistently innovating and exceeding RVers expectations. Our selection includes the Shasta Airflyte travel trailer and Shasta Phoenix fifth wheel. The fifth wheel is a great choice for families who want a luxury living experience. It includes high quality residential flooring, high end furniture, and washer/dryer prep, and extra headroom. The Airflyte travel trailer is a throwback to Shasta's earlier days and sure to appeal to anyone who appreciates vintage styling. A limited number of these units are being release in honor of Shasta's 75th anniversary. Don't let the vintage look fool you, though, Airflyte is still equipped with modern amenities and plumbing. If you're interested in learning more about these units, contact us. 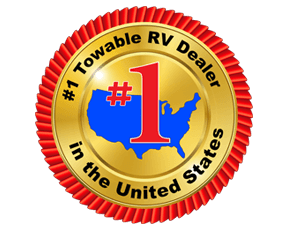 We can answer any questions you have and make sure you have the right information to make the best decision for your needs at a top RV dealer in TX.